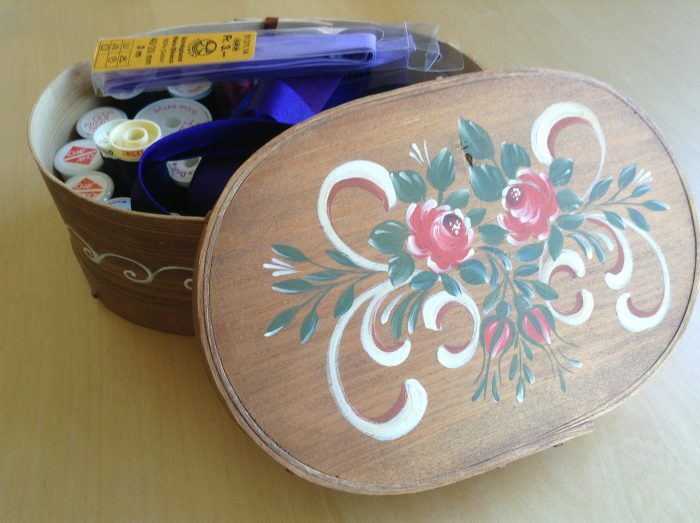 Over the years, I have held this traditionally hand-crafted box many, many times, and always admire the pretty, hand-painted flower design. It was a gift from a Swiss friend who is no longer with us, so it has extra-special significance, as well as being a beautiful object. So it was a surprise this week when it generated a flash-back memory of an old jumper I had made as a young student. I used to love that jumper! 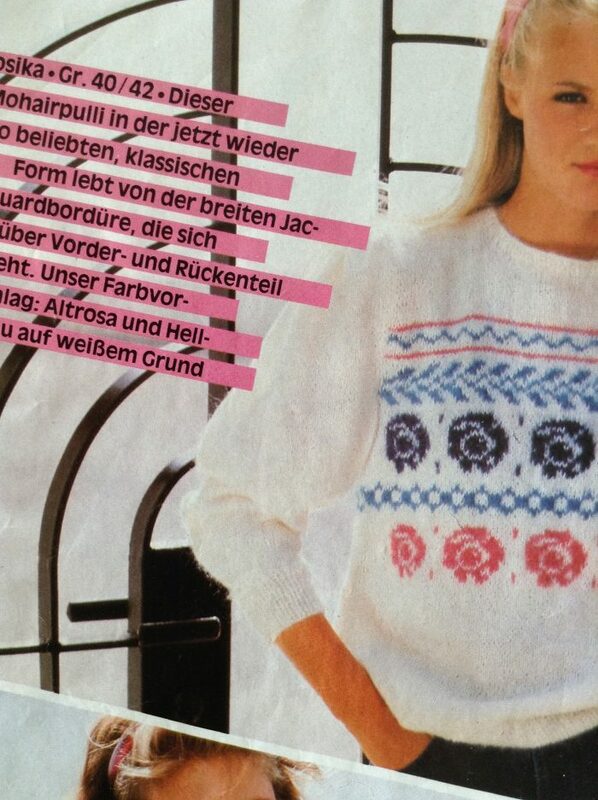 I knew the pattern was from a German knitting magazine and I had made several of the designs from that particular issue. It held good memories, so there was a good chance it had survived a series of clear-outs … Sure enough, it didn’t take too long to find it – Ingrid, April 1983. 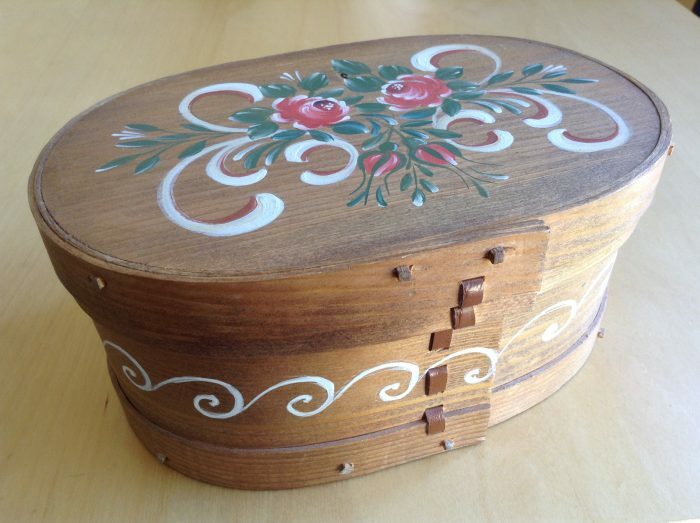 It must have been the flower shapes and the horizontal leaf and scroll patterns on the box that triggered the jumper memory … What do you think? Has anything reminded you of a favourite knit recently? I’d love to hear about it! This entry was posted in Uncategorized and tagged Colour, creative, inspiration, knitting, memories, Pattern. Bookmark the permalink. That’s a beautiful item of Bauernmalerei, very sweet (and useful). I’m sure you will invent something equally lovely.